Casa Dolce Casa is a young Italian company that has chosen quality and creativity as its distinguishing features. Established in 1994 at Fiorano Modenese, Casa Dolce Casa (Italian for home sweet home) set its goal at creating products with a natural appearance and an innovative use of colour. 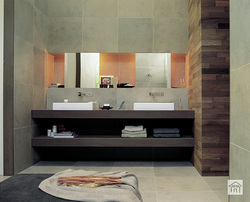 In 2005 Casa Dolce Casa became part of Florim Ceramiche S.p.A., a world-leading company in the ceramic industry.